Our Tag Heuer Link Chronograph, ref CJF2111 with chronograph and date functions, features a rare and desirable sapphire case back to the 42mm case, which displays the automatic movement. Presented in outstanding condition, our Link is ideal for daily or special occasion use. 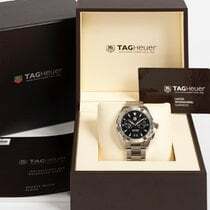 Our Tag Heuer comes with box, the original papers are not present. 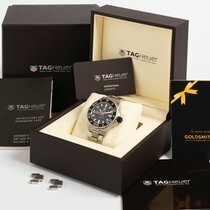 we date our Tag Heuer to approx 2008, one of the last Links manufactured.